Prepare a campfire (or fire in your fireplace). Allow the fire to simmer down so the logs are red hot embers rather than a roaring fire of flames. Break one long graham cracker in half horizontally to make two squares. Break the chocolate bar to fit one graham cracker square, leaving the other graham cracker square open to use as the top. Set aside. Place a marshmallow on a stick and hold it over the heat, rotating often, until the marshmallow is golden brown (or dark brown or burnt, if you prefer!) and the inside is gooey. Remove the marshmallow from the fire and place it on top of the chocolate. Top the marshmallow with the second graham cracker square. Eat it sandwich style and enjoy a classic treat! 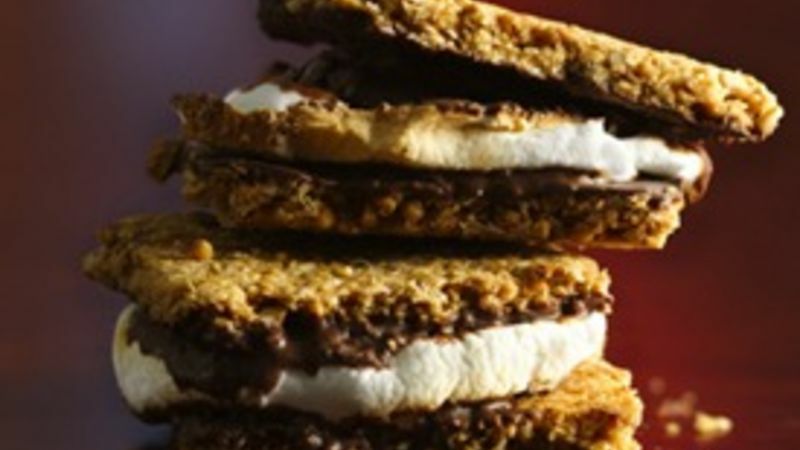 Looking for creative s'mores? Instead of graham crackers, try crunchy granola bars (pictured), cookies, or cinnamon graham crackers. Try flavored marshmallows, too! They're available now in coconut, chocolate and strawberry flavors.